I recently purchased my first custom action figure by MasterEnglish customs. 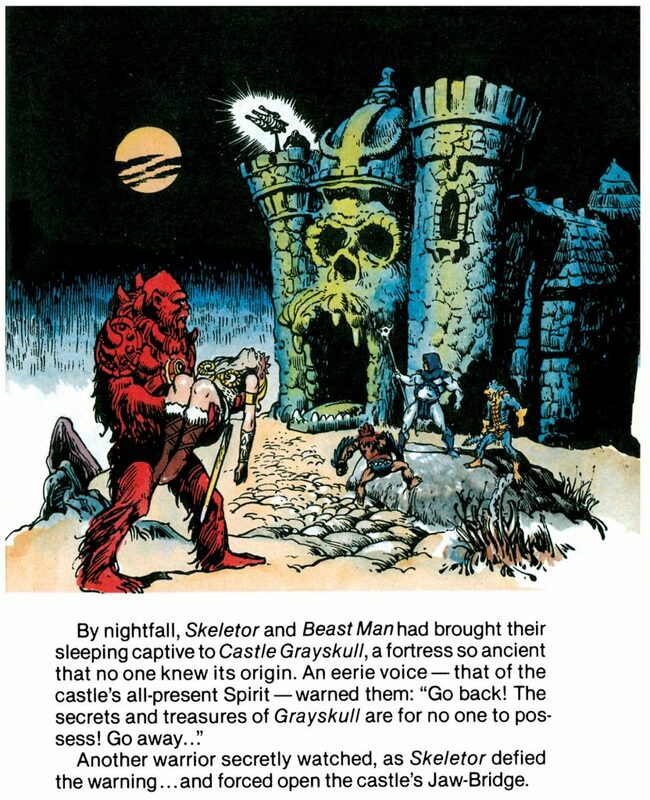 As a rabid fan of the early Masters of the Universe minicomics (particularly those illustrated by Alfredo Alcala), his take on the first appearance of Beast Man inspired me to sell off a few things so I could add this savage brute to my collection. 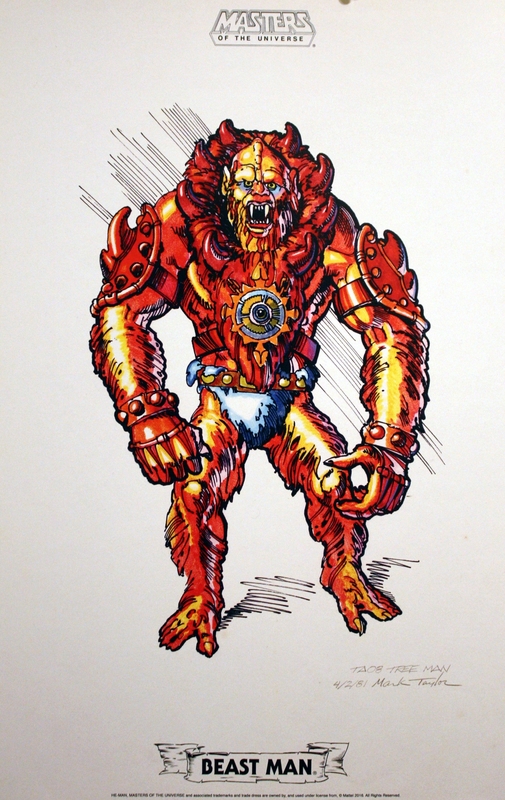 Early appearances of MOTU characters in minicomics often draw from unfinished concept art or prototypes. 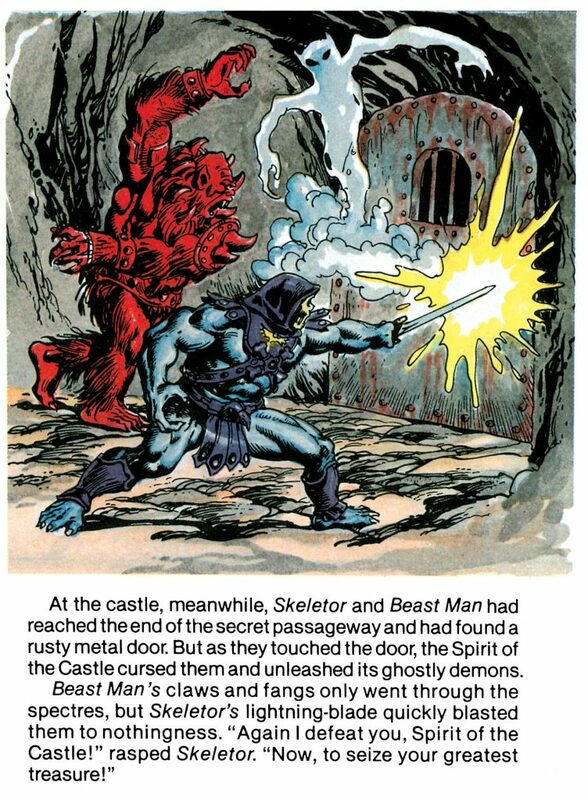 Often minicomics and toys were being developed simultaneously, and there was no time to go back and modify minicomics after the toy had undergone significant changes. 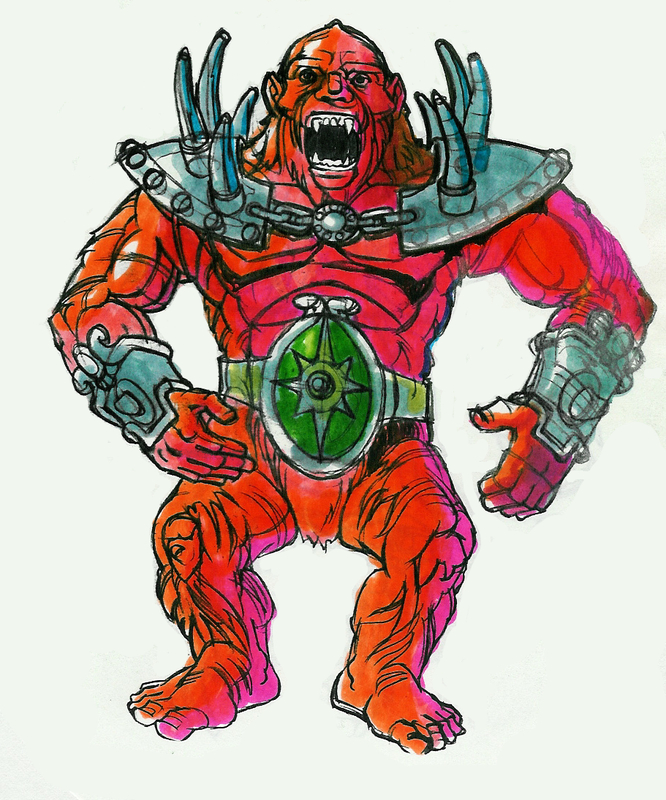 In Beast Man’s first appearance in He-Man and the Power Sword, he is colored entirely red, with the exception of the yellow medallion on his chest, as well as his teeth, eyes and claws. That’s reflective of earlier iterations of the design, which were also dominated by red. 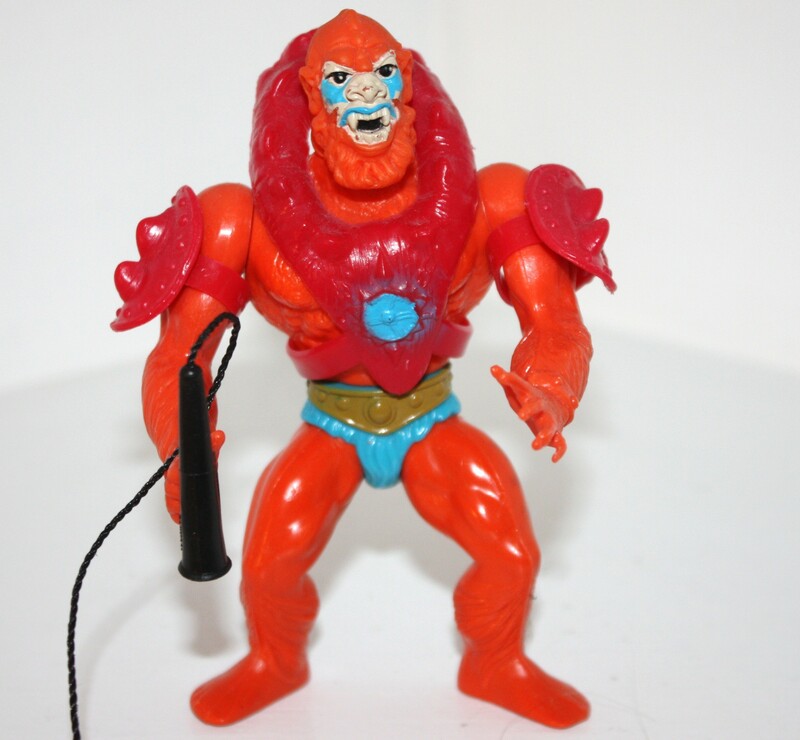 However, by the time the toy got released, Beast Man was given orange fur, a blue loincloth, and white and blue patterns on his face. 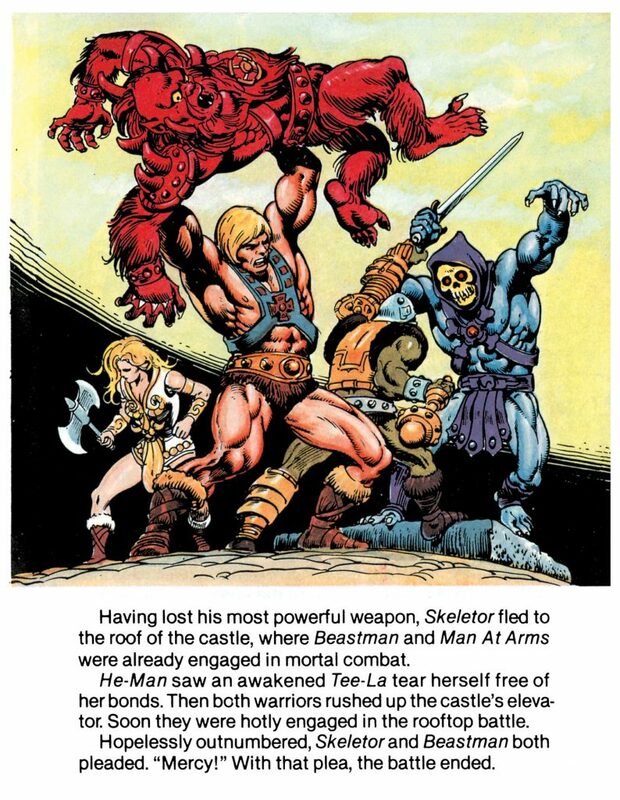 That got reflected in later minicomics, but the change happened too late for He-Man and the Power Sword. 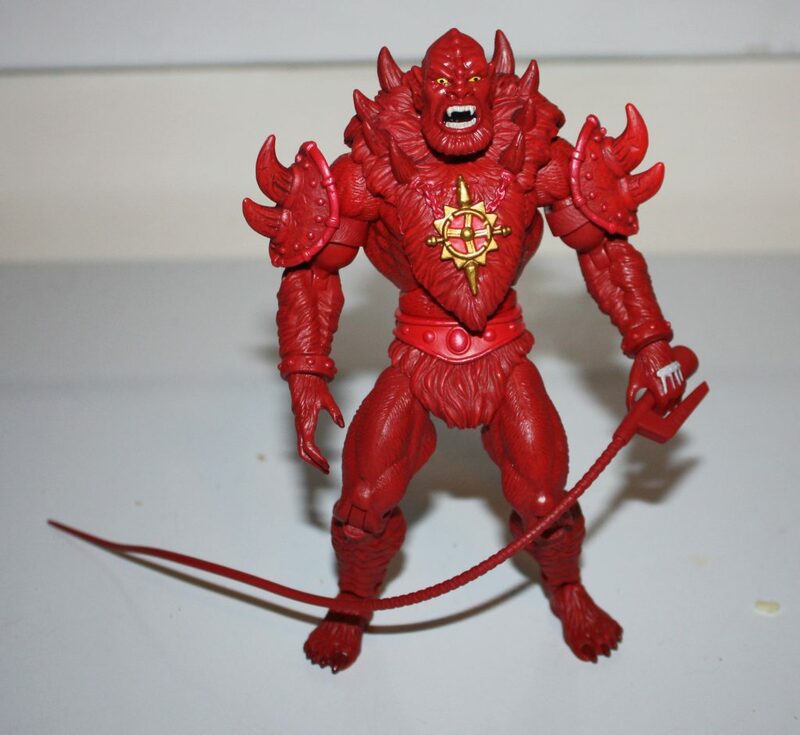 MaterEnglish’s custom seeks to recreate the look of the first appearance of Beast Man, using the original vintage toy sculpt. It is cast in bright red plastic, with hand-painted gold, white, yellow and black details, expertly applied. Given the amount of red on this character, a new cast is really the only way to go. Trying to slather a vintage figure in that much red paint really wouldn’t work well. Whatever material was used by MasterEnglish for the body, it’s very close to the look and feel of the original mass-produced made in Taiwan figure. The armor feels slightly more flexible than vintage, and the head of course is not the soft, hollow polyvinyl of the original, but I wouldn’t expect that from a custom. 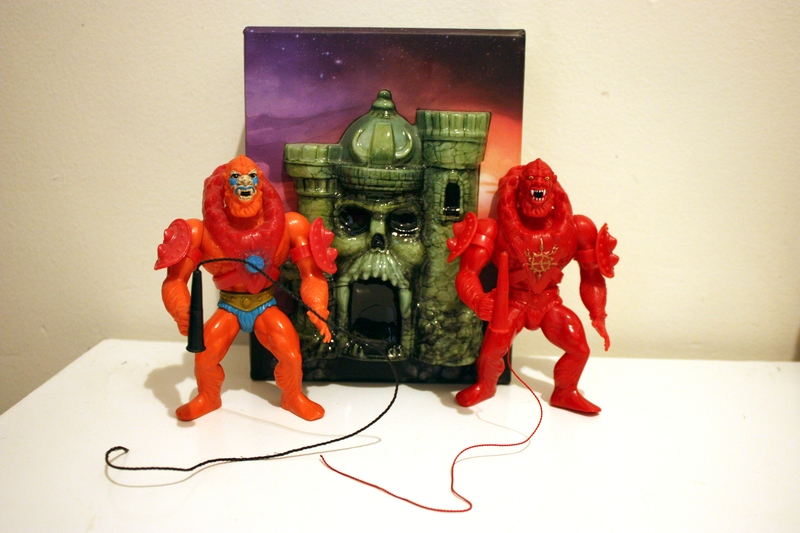 Unlike the late hard head releases in the original vintage line, the hard head on Red Beast Man remains as sharply detailed as the original soft head release was. 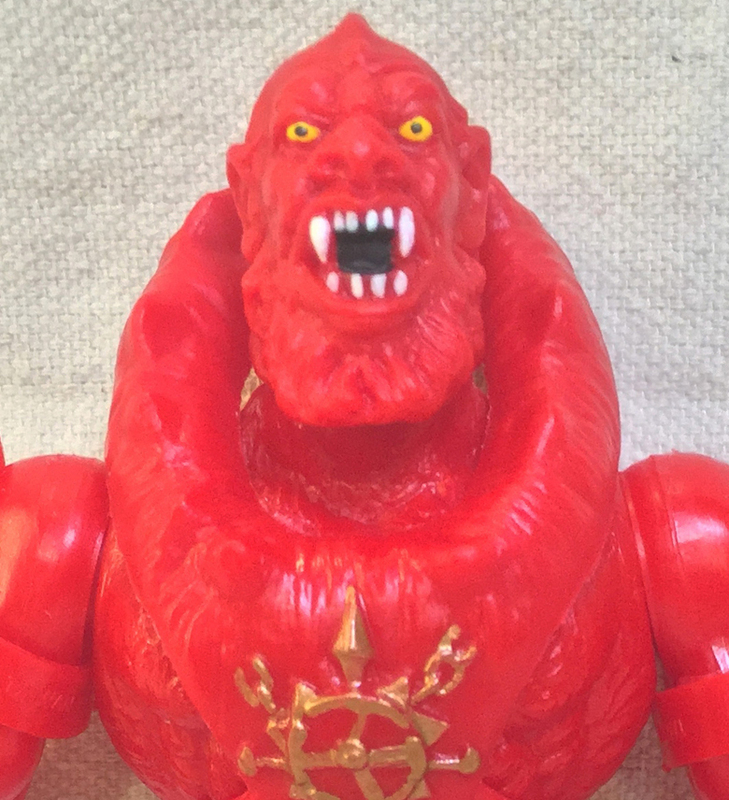 Red Beast Man does not include the original spring-loaded waist action feature, but this is again something I wouldn’t expect from a custom, hand-cast figure. The arm joints are a touch loose, but remain poseable. He comes with a red version of his signature whip, complete with red string, which is a nice touch. 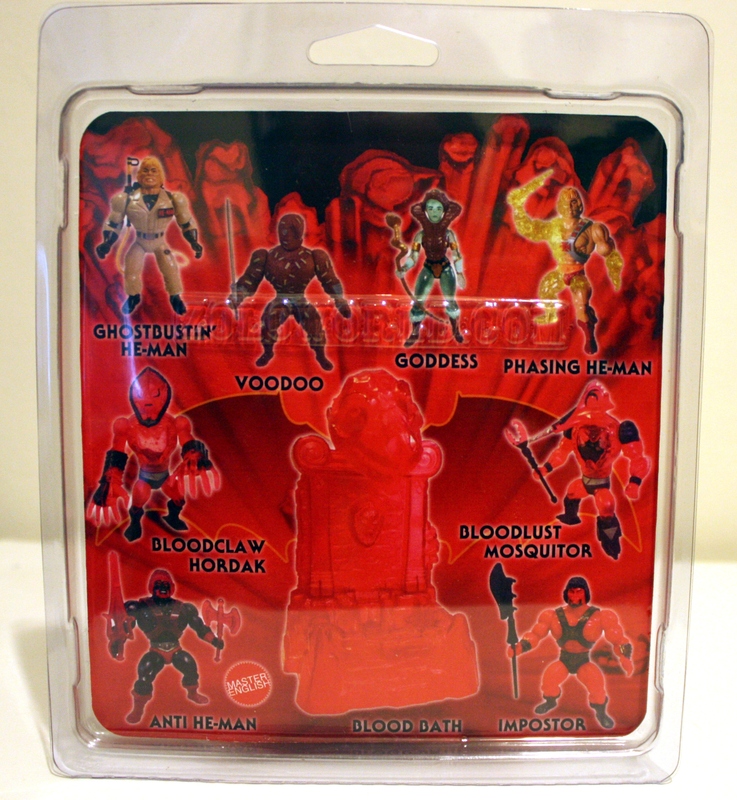 He is packaged on a resealable card that gets at the general feel of the original MOTU packaging without replicating it too closely. 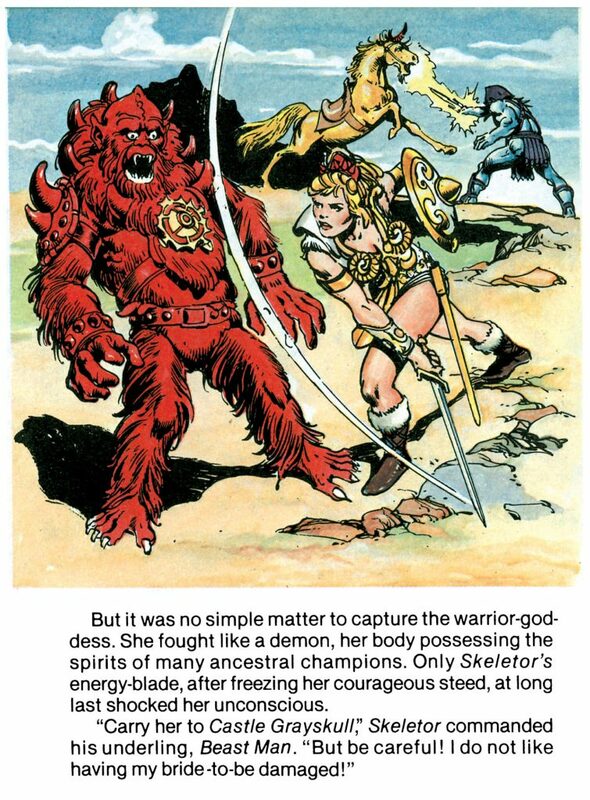 The back of the card shows off more vintage-style customs by MasterEnglish, including his (sadly) sold out, brilliant take on the Goddess/Sorceress character that also appeared in He-Man and the Power Sword. 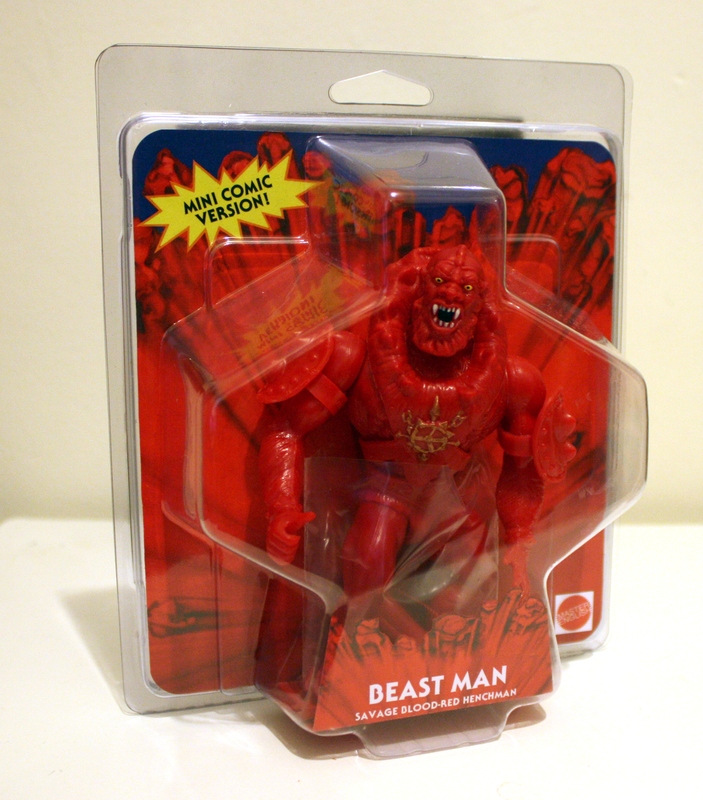 Red Beast Man works surprisingly well as an action figure, despite his monochromatic color scheme. I understand why the original designer (Mark Taylor) modified the colors of the figure before its release. Orange, red and blue work well together, and help break up the design. 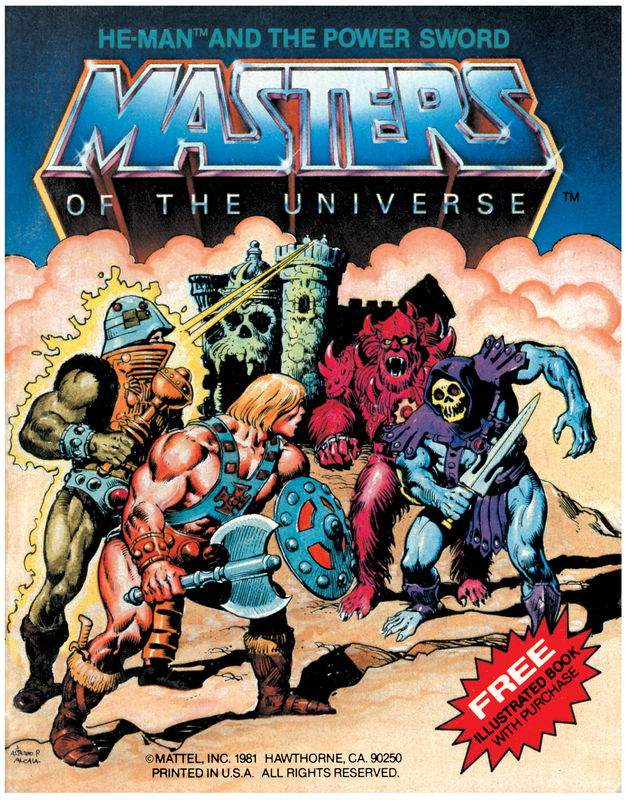 An almost universal design characteristic of MOTU figures is their bright complementary and contrasting colors. 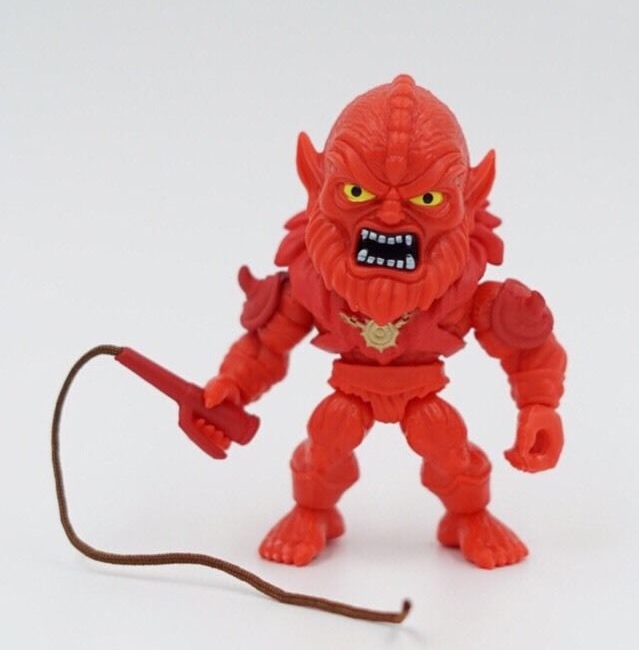 Still, a mostly-red Beast Man looks great in hand. 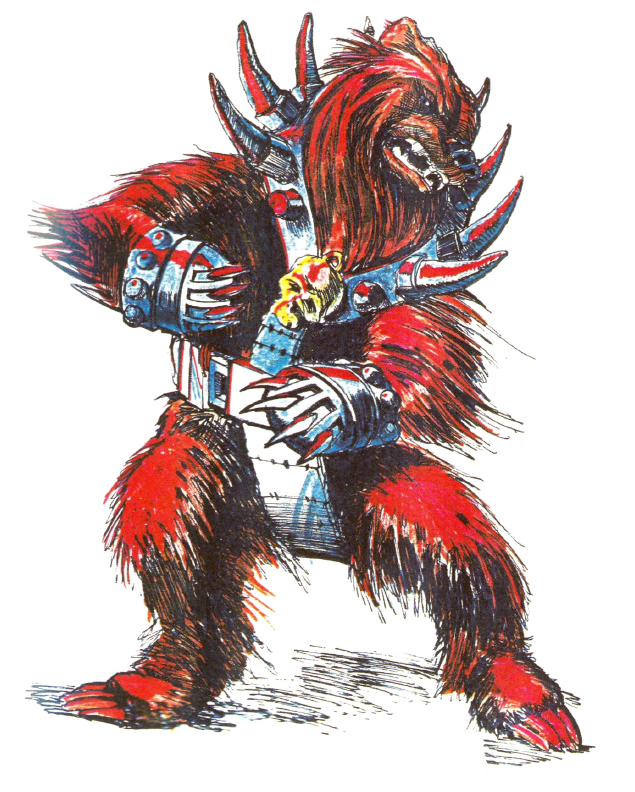 This is, of course, not the only take on a red Beast Man action figure. 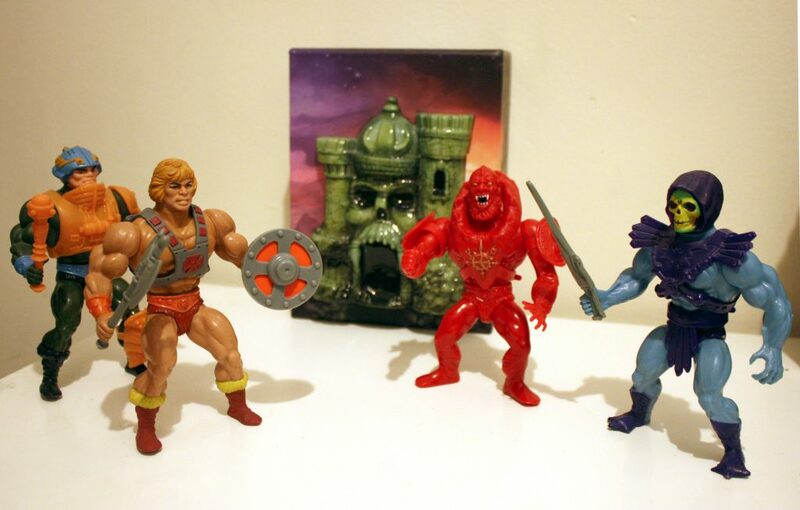 There are red variants of the character in the Masters of the Universe Classics line as well as the Loyal Subjects MOTU line, but I feel like the 1980s format most closely resembles the general body shape of Alcala’s depiction of the character. My favorite character, probably. I think my first figure, also.